He was really really really big. If it weren't for the drop off between us, he would have been too close, too. 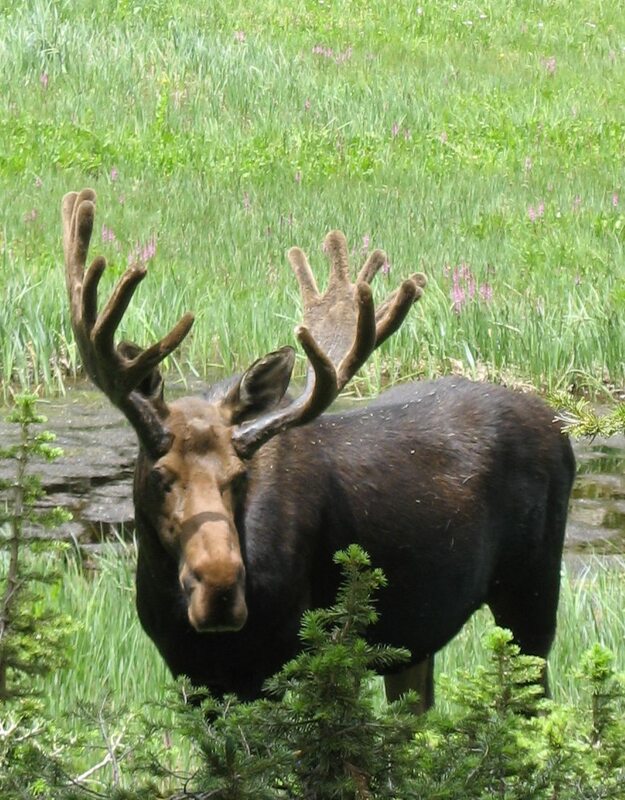 Totally by chance, I got the best look at the moose, and possibly the best picture. The others were still coming up the trail when I was thinking “Man, is he BIG” and pushing the button. 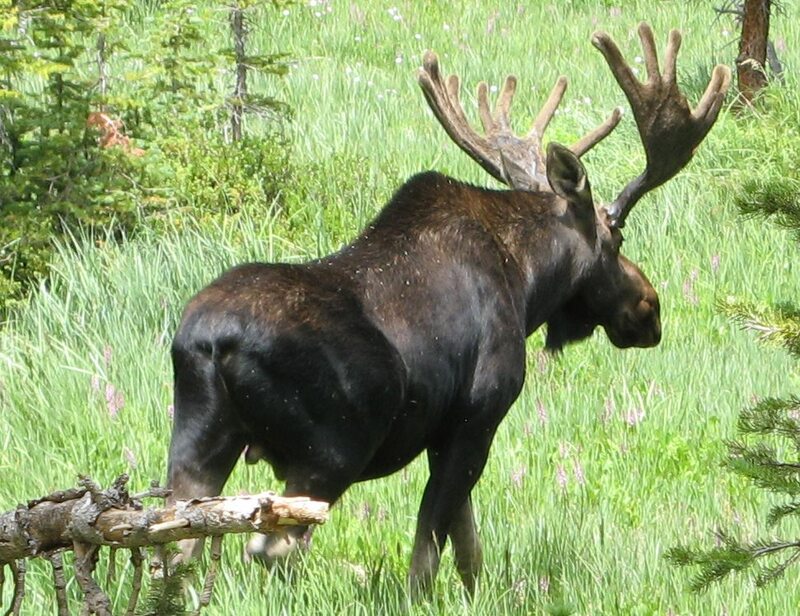 One of the other people who was nearby and taking pictures got a little too close, and the moose decided to move off. Fortunately, he headed down the trail towards my family, so that they got to see him as he walked through a meadow and into the forest. 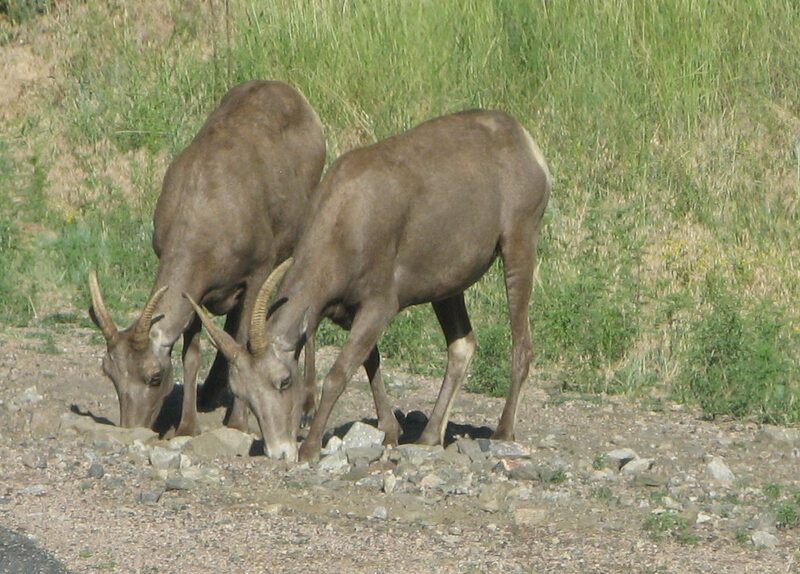 Having seen two of the big mammals of the mountains, Kurt and I wanted to score a third — elk. 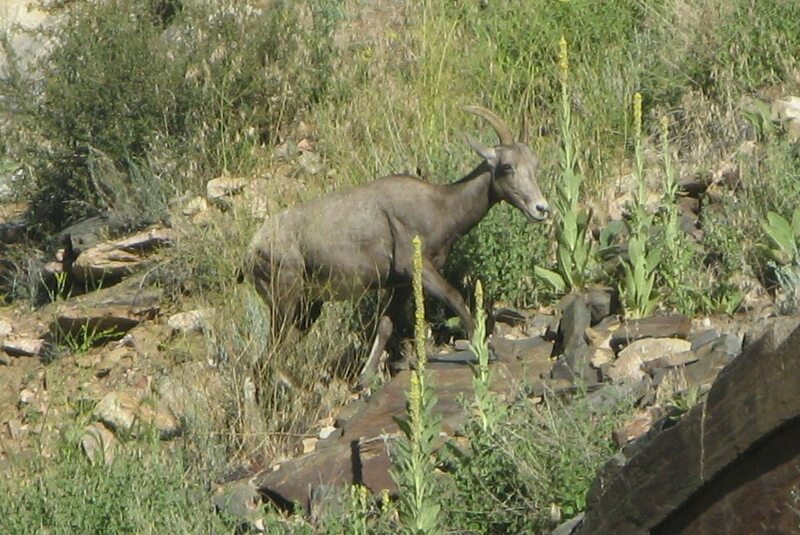 We see them all the time when we are in the Estes Park area, so we were hopeful. 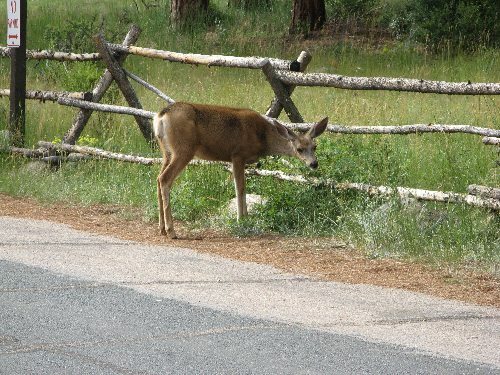 But despite staying later than planned and driving into more remote parts of Rocky Mountain National Park, the best we could do was a mule deer. At least she had the decency to be right in the parking lot where we couldn’t miss her. Tomorrow: a little little wildlife.